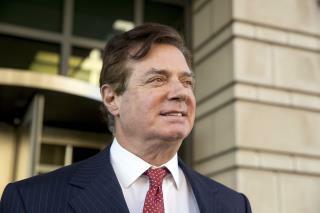 (Newser) – Former Trump campaign chairman Paul Manafort made several attempts to tamper with witnesses in his ongoing criminal cases, prosecutors said Monday as they asked a federal judge to consider revoking his house arrest. In a court filing, prosecutors working for special counsel Robert Mueller wrote that Manafort and one of his associates "repeatedly" contacted two witnesses in an effort to influence their testimony earlier this year. Court documents do not name Manafort's associate, but they refer to him as "Person A" and note the pseudonym is consistent with previous filings in the case. In earlier filings, Person A has referred to Konstantin Kilimnik, a longtime Manafort associate who prosecutors have said has ties to Russian intelligence, reports the AP. The two witnesses are also not named in court filings. On Feb. 26, Manafort sent the person a series of messages through an encrypted application, including a link to a Business Insider story with the headline: "Former European leaders struggle to explain themselves after Mueller claims Paul Manafort paid them to lobby for Ukraine." Another message sent to the person said, "We should talk. I have made clear that they worked in Europe." The person believed from his experience that the Hapsburg Group lobbied in the United States and knew that Manafort knew that as well, the agent wrote. The person told investigators that he interpreted Manafort's efforts to reach him as a way to influence his potential statements. This guy needs to sit in jail right now before he commits more treason. It's a crank call, hang up! Sounds like a big nothing burger. Mueller and his continual leaks prove desperation. He wants Manafort to make up something about the President, anything. Manafort has nothing to give but the illegal leaks continue by the deep state desperate to over turn a valid election. Mean while the radical left cheers the tyranny that will consume them too!